There are two TADOTable components on a Form1. First is connected to the table Customers. The second is connected to the table Orders. 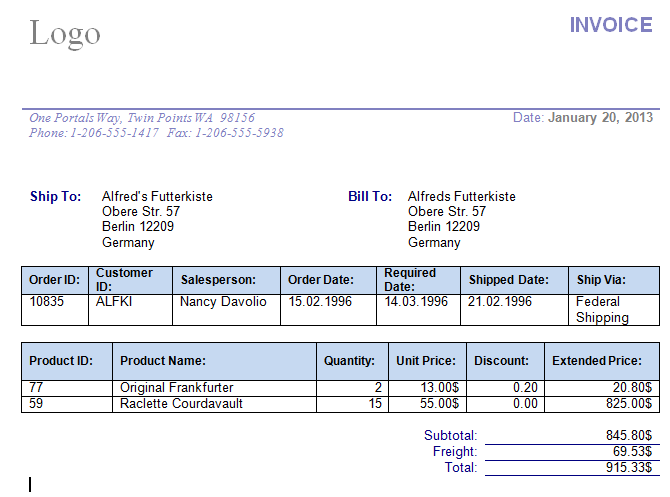 Current OrderID is input parameter for the report. Qr is TADOQuery component. Its SQL property contains the final select for the report. EkRTF1 is TEkRTF component. 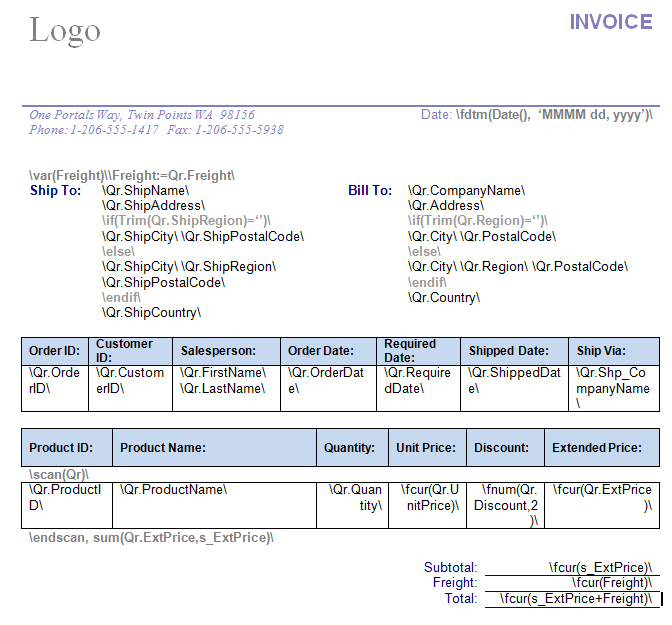 The report template is saved in NW_Invoice.rtf file. The name of the report template is set to EkRTF1.InFile property before executing. All data fields in the report are linked to the Qr dataset. There is also a report variable Freight, declared at the beginning of the page. This variables stores the value of Qr.Freight field. We use this variable at the total block of the report. There are also EK RTF commands \if\-\else\-\endif\ used in the address blocks. Commands \scan\-\endscan\ are used to print order details table. Fdtm, fcur and fnum are format functions. Output format of date and currency fields depends on regional setting of operating system and may be different in other case. Archive contains compiled demo executable and sources.